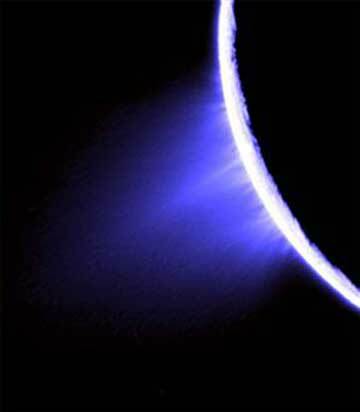 On Wednesday, March 12, 2008, NASA's Cassini spacecraft flew along the south pole of Enceladus to sample water-ice, dust and gas in the geyser plumes that erupt there. This was the first of four Cassini flybys of Enceladus planned for 2008, the second coming in August. Image 2007 by Cassini-Huygens spacecraft.